Use Peplink to combing 4G LTE, 3G and VSAT connections, ensuring that your clients have high-quality Wi-Fi Internet access wherever their journeys take them. PoE support simplifies each deployment. 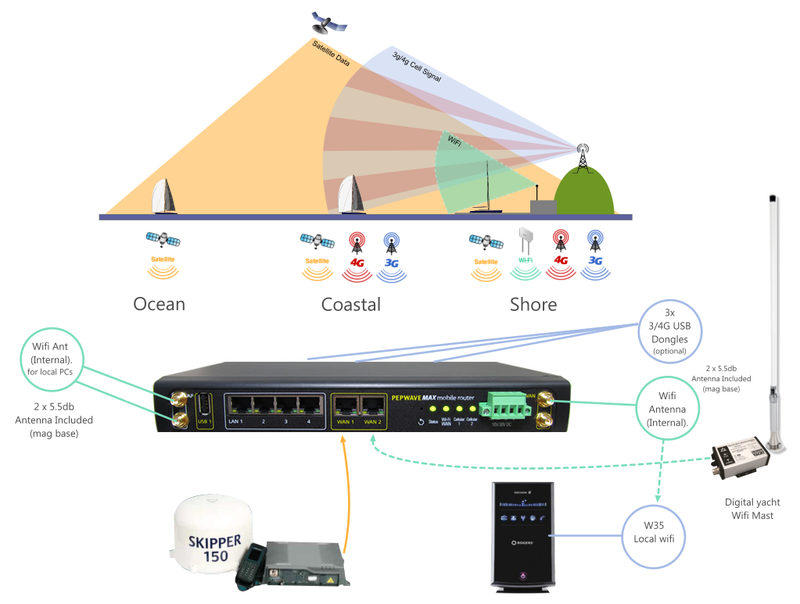 Ocean projects require high bandwidth and reliability in very inaccessible locations. Use a MAX router to combine VSAT and LTE connections into a rock-solid VPN that stays connected no matter where your project goes. Use Peplink to enable your customers to pay for concessions aboard your ships conveniently using debit and credit cards. Combine multiple mobile connections to access headquarters resources with unprecedented reliability.